This is THE site of the best karaoke in Portuguese language! The KANTATU brand, in the market since the year 2000, has a significant catalog of karaoke tracks organized in several Collections! In addition to the CDG and DVD discs, KANTATU is present in the digital format at www.karaoketosing.com , where you will find the Download and Streaming services! Karaoke discs from € 4.00 (VAT incl.)! Every week we edit new traks in Collections KANTATU DIGITAL, KANTATU ORIGINAL and KANTATU POPULAR! Follow on this site! KANTATU PRO! Great hits of Portuguese and Brazilian karaoke! Download the tracks from this collection at the download karaoke website. Click here to see the tracks from this collection! KANTATU LATIN! The best Latin collection with spanish, french, italian, brazilian and other languages! 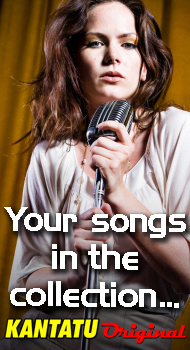 Download the tracks here, in the karaoke download website, www.karaoketosing.com ! Click here and see all the tracks edited! Copyright © 2000-2018 JGC, Lda | MUNDOKARAOKE®, KANTATU®, KARAOKEMANIA® are registered marks of JGC, Lda. All the content of this site, including text and images, is protected and can not be used without our previous authorization.